Instead of basing our configuration file off of the 000-default.conf file in the sites-available subdirectory, we’re going to base this configuration on the default-ssl.conf file that contains some default SSL configuration. 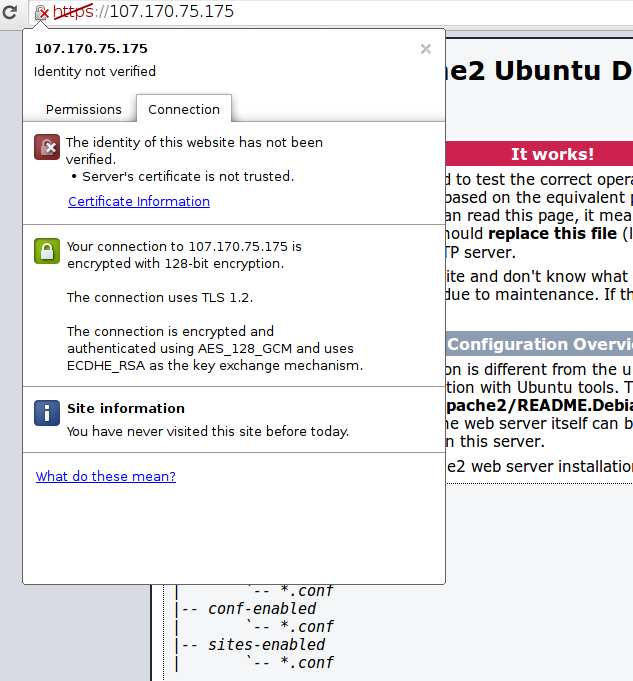 Posted in Apache Web Server, ubuntu. Tagged with Apache Web Server, ssl, ssl certificate, ubuntu.